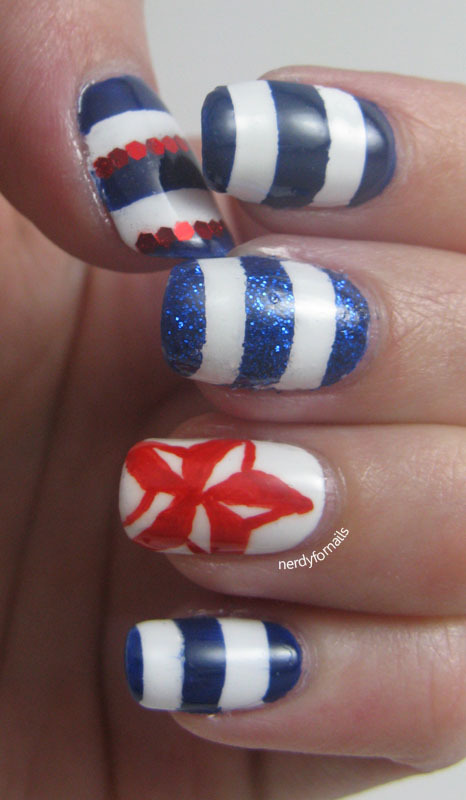 I think I'm addicted to nautical stripes. Every time I see a nautical striped t-shirt at the store I'm convinced I need it even though I already have at least 3 in my closet. 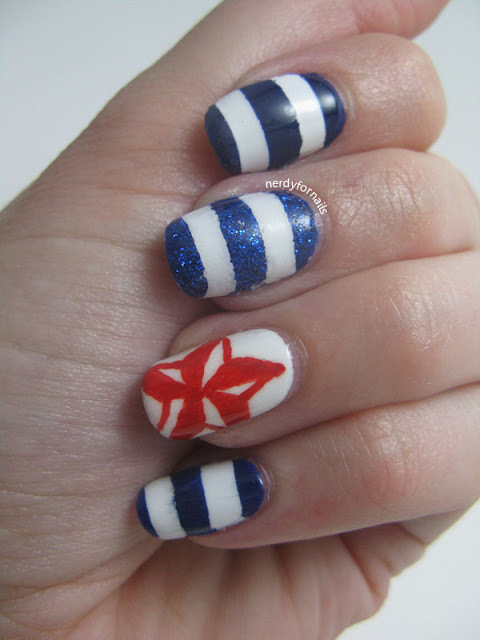 Of course I've been wanting to try nautical themed nails for a while now. Instead of the traditional anchor I went with a nautical star and added some glequin stripes. I started with two coats of Wet n Wild, French White Creme. I used an x-acto knife and a self healing mat with the measurements printed on it to cut scotch tape into 1/8 inch strips. I stuck these on one nail at a time and painted over with Ulta, Moody Blues, then peeled the tape up while the polish was still wet. On the glittery nail I used an eyeshadow brush to tap on loose craft glitter from Michaels before peeling up the tape. 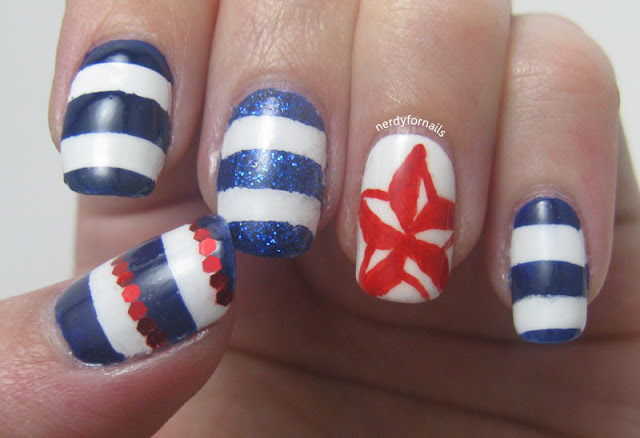 The nautical star was drawn freehand using acrylic paint and a small nail art brush. 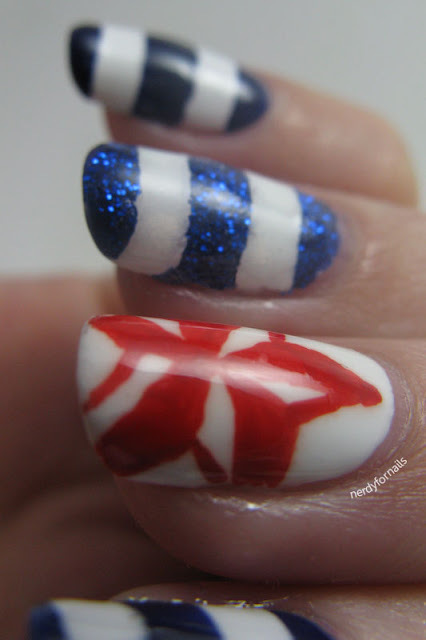 I added red glequins from Born Pretty to the thumb and topped it all off with a coat of Out The Door top coat. I loooooove nautical theme! So cute and original!